So you think time trials are boring? They actually have an unexpected way of spicing up stage races. Here's why we shouldn't ignore the TTs. 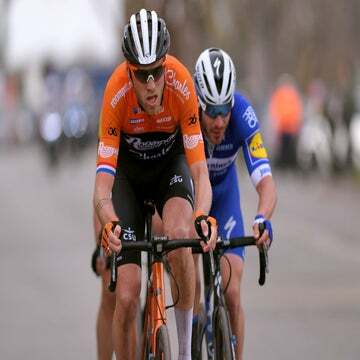 You have to feel for Tom Dumoulin. Just when he had emerged as one of cycling’s top grand tour talents, race organizers have found a new passion: killing time trials. The way I see it, it’s time someone stood up for the TT. It’s been a rough few weeks for the time trial specialists. At the Tour de France route announcement, we learned that the upcoming Tour will feature one measly individual time trial at just 27 kilometers. (Yes, I’m ignoring team time trials, which punish smaller teams without rewarding individual merit. Does anyone actually like them?) The Giro d’Italia has been hailed as the grand tour for TT specialists in 2019, which is funny — a total of 58.5 kilometers of time trialing on tap next year is still quite a low number. 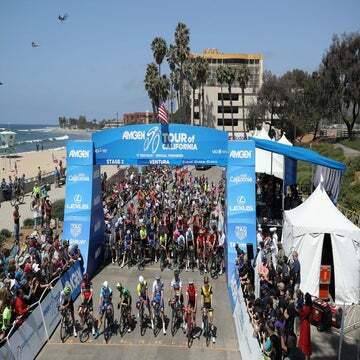 The trend has crossed the Atlantic too: Strong time trialists could always count on the Amgen Tour of California to give them a great opportunity to contend for a GC victory, but they may have to look elsewhere next year. For the first time, the Tour of California will not feature a time trial in 2019. Tejay van Garderen summed it up nicely in a recent interview with VeloNews, putting the trend in the context of other sports throwing balance out the window. It’s a fitting analogy. While I’m all for innovation geared toward upping the excitement, killing the time trial is not the way to do it. The rationale behind the trend is understandable. The way some see it, Sky makes grand tours boring by relying on the TT to snag a big lead before sucking the life out of the mountain stages with controlled riding. While it’s true that Sky has played this strategy to perfection in the last few Tours, it doesn’t have to be that way. TTs can be exactly the thing to spice up a race. You just need the right collection of all-rounders who can take advantage of the aero bars. For one thing, a race with a healthy dose of time trial mileage has a much longer list of possible contenders than a climb-fest with one mountain stage after another. A race without time trials is bound to go to the best climber that manages to stay upright through three weeks. That doesn’t sound like a very suspenseful race, especially when Chris Froome often fits that bill anyway. With Dumoulin in his prime, Richie Porte still sharp, an ascendant Primoz Roglic, and Rohan Dennis dipping a toe in the grand tour waters, now is actually the time to be embracing the TT. More importantly, time trials have the potential to force attacks. Want to inspire Romain Bardet, Nairo Quintana, and Mikel Landa to go all-in with a desperate long-range move in week two of the Tour? Tell them they’ll be facing Froome or Geraint Thomas in a flat 50-kilometer TT in week three. Attack now, or risk feeling like Laurent Fignon on the Champs-Élysées in 1989. The list of stage races spiced up by time trials extends well beyond that greatest Tour ever at the end of the ’80s. Carlos Sastre blazed off the front of the pack in the Alpe d’Huez stage of the 2008 Tour knowing that rivals like Cadel Evans would punch right back in the final TT. Sastre’s solo raid up the iconic climb put him into the race lead, and he held on to seal the deal. 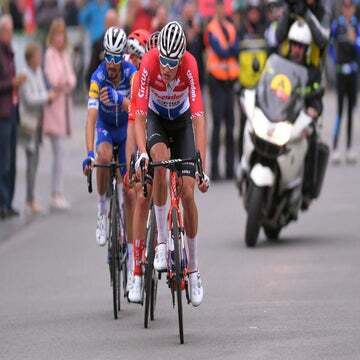 A hefty deficit to Tom Dumoulin in the TT forced Fabio Aru to put the hammer down in the final week of the 2015 Vuelta a España; Dumoulin eventually cracked, with Aru sealing his win in a thrilling final mountain stage. Last year’s Tour of California was another fine example, with Egan Bernal soaring to the race lead on Gibraltar Road only to see van Garderen strike back in the TT. That compelled Bernal to dig deep again en route to South Lake Tahoe, where he took back the jersey for good. Even when the TT guys win, the racing is usually the better for it. There’s Denis Menchov sliding across the cobbles trying to defend his Giro d’Italia lead in 2009. Not that I endorse crashing, but it sure added tension. There’s Joaquim Rodríguez digging deep in the final week of the 2012 Giro hoping to fend off Ryder Hesjedal (sorry Joaquim!). There are Quintana and Vincenzo Nibali throwing haymakers in the Dolomites with the threat of Dumoulin’s TT strength providing a spark in the 2017 Giro. I’m not here to argue that an individual time trial is more fun to watch than a battle on Alpe d’Huez. The mountaintop finish remains the most exciting battleground a grand tour can offer. But a battle on Alpe d’Huez gets a heck of a lot more interesting when the climbers must attack, or face certain defeat. Even Froome might find himself in that position if the Tour handed Tom Dumoulin the gift of a big, flat TT one of these days. The occasional climber-friendly stage race is fine. It keeps things interesting and spreads the love around to an even wider variety of riders. One Tour of California without a time trial won’t kill anyone. Committing to the trend across all the races we love, however, is a whole different ballgame. Time trials give us more storylines to follow, more suspense across the whole race, and that’s the sort of thing fans love. Here’s hoping the route designers the world over can see the light sometime soon, while the pro peloton has so many promising grand tour hopefuls with talent against the clock. Our friends Tom and Primoz, and maybe even Richie and Rohan, are just waiting for their moment to give us the grand tour excitement we’ve all been hoping for.